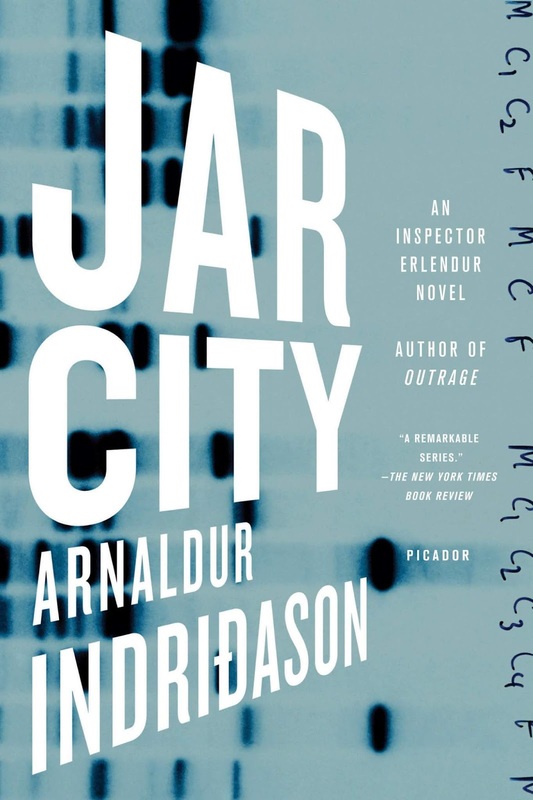 Jar City is the first book by Arnaldur Indriðason that I have read. I was mostly interested in reading it because it’s set in Reykjavik, and ever since the city was put on the map fro the famous World Chess Championship between Boris Spassky and Bobby Fischer in 1972 I have been interested in it. I visited Reykjavik this year for a week to celebrate my birthday in May 2018. Thus it was sorta fun to read place names that were somewhat familiar in Jar City. However it turned out that Jar City the book was not that interesting to me in the end. I have a theory that quality of mystery books depends on a number of factors: the quality of the characterization of the protagonist/detective, the interesting features of the sidekicks, the compelling nature of the setting and the intricacy of the puzzle/mystery. Here the strongest aspect of Jar City is the puzzle. The protagonist is Inspector Erlendur Sveinsson, who is somewhat interesting but also a bit of a misanthropic and unattractive character. This is not necessarily a deal breaker for me to enjoy a mystery book, since one could also describe popular mystery characters like Inspector John Rebus by Ian Rankin. The main problem with Jar City is with the sidekicks, who are completely uninteresting to me. One is a woman named Elinborg and a guy named Sigurður Óli. We don't get very much (if any) of the internal monologue of either of these supporting characters, and it's not even very clear what Erlendur thinks of either of his partners. One would think that the setting (Reykjavik) would be compelling but in the end the homogeneous and exotic nature of the setting is not as interesting as I had originally expected when I discovered the books existed. I have to add that the one aspect of the first book that may get me to read the future entries is Elendur’s relationship with his pregnant, drug-addicted daughter Eva Lind. I’m definitely curious about what happens to her character but there are many other series that I would rather make progress on first (Val McDermid's Tony Hill/Carol Jordan and Stuart MacBride's DS Logan McRae immediately come to mind, for instance). Title: Jar City (Inspector Erlendur, #3). Date Published: October 1, 2005. Date Read: July 29, 2018.